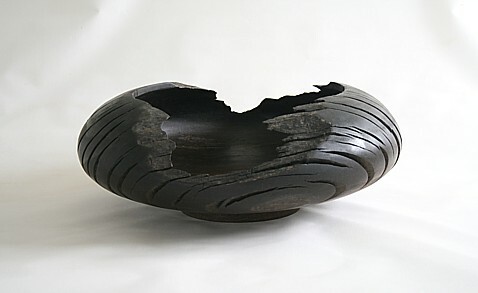 3376. 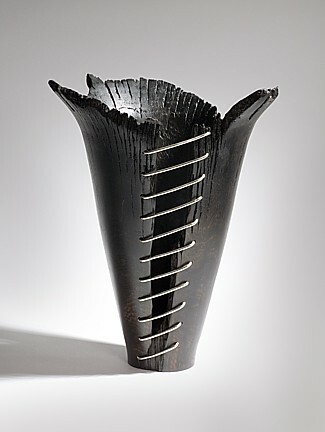 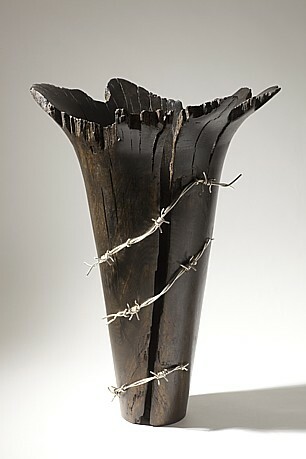 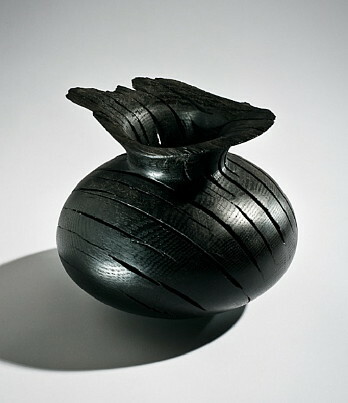 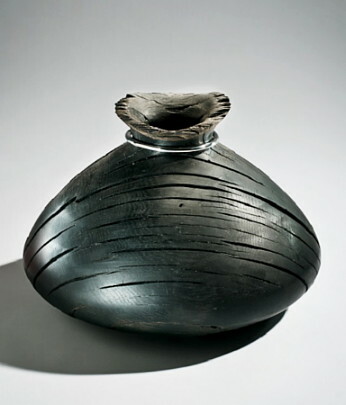 Vase with silver barbed wire, bog oak. 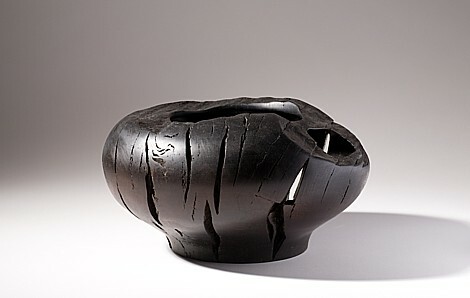 8101. 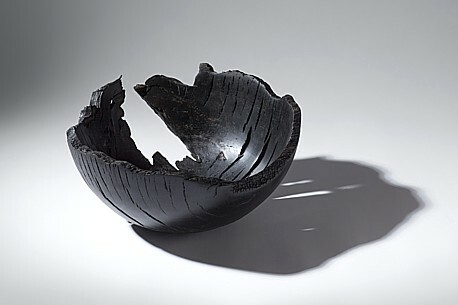 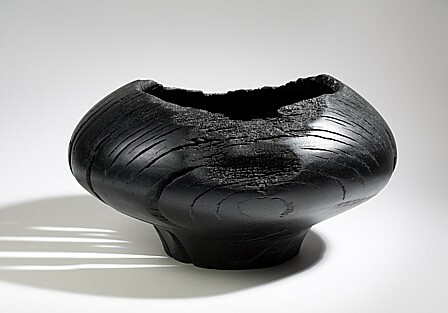 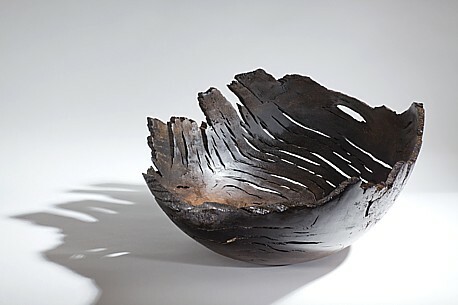 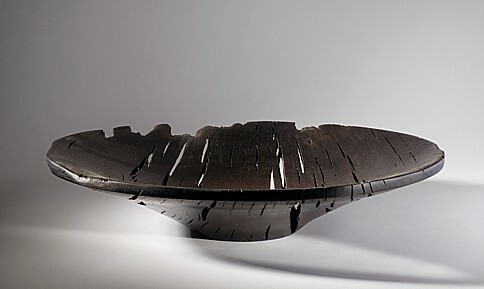 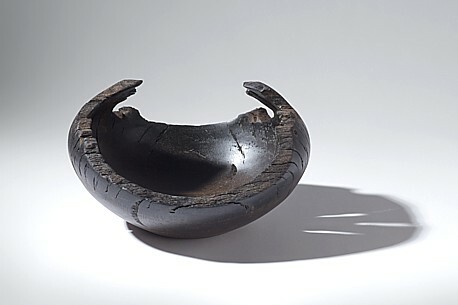 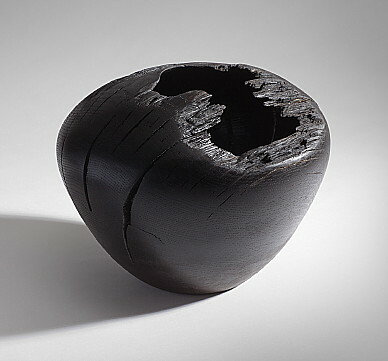 Hollow form with stainless steel ring, bog oak.